A. 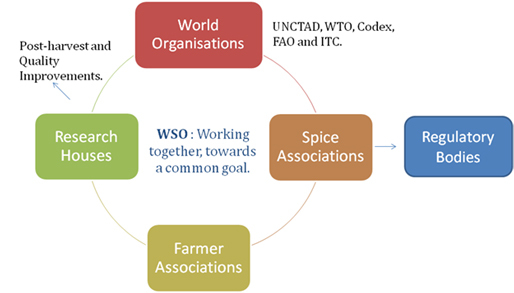 Global Food Safety and Sustainability in herbs and spices. B. Fulfilling our Corporate Social Responsibility with a backward linkage to the farming community. C. Connecting the global spice industry; bringing about unity of thought and harmonisation in standards. programmes in food safety and sustainability. ♦ Co-ordinate with research houses on improving productivity and post-harvest technology.